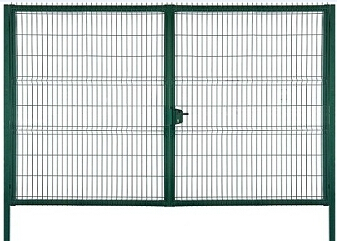 Product categories of Garden Fence Gate, we are specialized manufacturers from China, Garden Fence Gate, Farm Fence Gate suppliers/factory, wholesale high-quality products of Security Fence Gate R & D and manufacturing, we have the perfect after-sales service and technical support. Look forward to your cooperation! 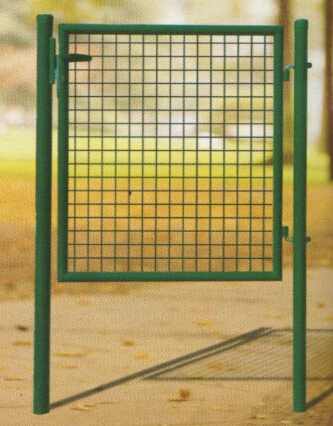 Our Garden Fence Gate is made of metal , that is metal garden gate ,include Powder Coated Garden Fence,Walk Gate,Chain Link Fence Gate,Metal Fence Gate. Design and style are different among countries. It is not only a decoration, but also a fence for your manor. The usual type exporting to Europe are double door and single door, surface treatment is usually powder coated,colour is black or green. The ones exported to the USA is galvanized.